Ms. Clarke has been an environmental consultant for twenty-seven years and has extensive experience with investigation, design, remediation, cost estimating, and construction management of numerous sites across the country. Ms. Clarke holds a B.S. in Civil Engineering and an M.S. in Environmental Engineering from Manhattan College. She is a licensed Professional Engineer in the state of New York. 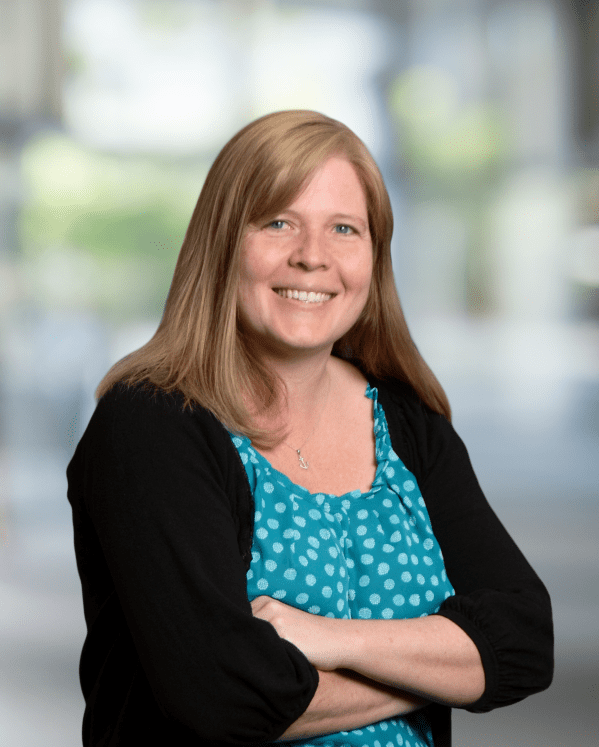 Ms. Clarke has worked on former industrial/commercial sites in support of site redevelopment, landfills, active and former petroleum refinery and distribution sites, and underground storage tank release sites. Ms. Clarke’s areas of expertise include Phase I and Phase II Environmental Site Assessments; remedial investigations; feasibility studies; alternatives analyses for selection of site remedies; detailed cost estimating; design of remedial actions for soil, groundwater, soil vapor, and sediment; permitting; construction management; and operation and maintenance of remedial systems. Remedial technologies designed include soil vapor and air sparging systems, sub-slab depressurization systems, sediment dredging, slurry wall containment, bank stabilization, capping, excavation, groundwater pump and treat, and stormwater management systems. Ms. Clarke has extensive experience negotiating with regulatory agencies to develop cost-effective remedial actions that meet our client’s needs, while satisfying regulatory requirements. Principal Engineer for a Brownfield redevelopment of a property adjacent to a dry cleaning solvent distribution facility in Brooklyn, New York under the New York State Department of Environmental Conservation (NYSDEC) Brownfield Cleanup Program (BCP). The Site was previously a warehouse built on a former freight railyard that serviced the dry cleaning solvent facility. Offloading spillage on-site and migration from the off-site facility resulted in significant soil, groundwater, and vapor contamination with chlorinated volatile organic compounds (CVOCs). The Site was developed into multifamily housing with first floor retail use. Pre-remediation and post-remediation Phase I ESAs were prepared by Roux. The remedy, as summarized in the Remedial Action Work Plan, consisted of soil hot spot removal to 35 feet below grade, a physical barrier to limit on-site migration, a permeable reactive wall (comprised of zero-valent iron and emulsified vegetable oil injections) to mitigate off-site contaminant migration, and a sub slab depressurization system. In order to reach the target excavation depths of 35 feet, maintain stability of the adjacent aging building, limit VOC emissions, and avoid significant dewatering, soil was removed from the hot spots by excavating trenches, that were simultaneously backfilled with a cement /bentonite slurry mix. Roux conducted continuous monitoring of VOCs and dust at the Site perimeter and of all personnel working in the excavation exclusion zone. Vapor suppressant foam was used to control VOC emissions and water was used to control dust during excavation and loading of trucks. Implementation of a perimeter Community Air Monitoring Plan assured that the public was not exposed to contaminants during the remediation process. Roux, under the direction of Ms. Clarke, provided full-time oversight of the remediation and prepared the Final Engineering Report and Site Management Plan. The Certificate of Completion for the Site was obtained in October 2015 and Roux is currently providing post-remediation monitoring services. The NYSDEC approved cessation of groundwater sampling in November 2016 based on the over 90 percent reduction in VOC concentrations following treatment. Principal-in-Charge of an extensive investigation and remediation project at a former petroleum refinery and current distribution facility located in Buffalo, New York. The Site entered the NYSDEC BCP in 2006. Multiple Alternatives Analysis Reports (to document analysis of engineering options and remedy recommendation), Remedial Action Work Plans, and remedial design documents have been prepared to address the environmental impacts associated with the five Operable Units (OUs) on the Site (each with a Separate BCP Agreement). Remedial construction for OU 1 was completed in 2007 and included excavation and disposal of impacted soil. The Final Engineering Report for OU 1 was accepted by the NYSDEC and a COC was issued. The Alternatives Analysis Report and Remedial Design for OU 4 were submitted and approved by the NYSDEC. The remedy for OU 4 included stabilization of 1,400 linear feet of river embankment using tiered slopes, rip rap, reinforced bioengineering, slurry wall groundwater containment, low permeability capping over eight acres, a stormwater collection system, and constructed wetland treatment for stormwater. Various vegetative measures were incorporated into the design to promote vegetative growth and enhance wildlife habitats. The remedy was implemented in 2013 and 2014. The Alternatives Analysis Reports for OU 2 and OU 3 were submitted to the NYSDEC. For OU 2, bench scale studies of in situ stabilization/solidification reagents were completed and evaluated for treatment of lead and petroleum-impacted soil. In addition, field pilot studies of multiple in situ stabilization reagents were completed and evaluated. Design of a stormwater collection system for portions of OU 2 and OU 3 was completed in 2010 and construction was completed in 2014 under the direction of Ms. Clarke. For all projects, Roux was responsible for specification, sourcing, and testing of multiple types certified clean backfill and capping materials. Principal Engineer for the alternatives evaluation, remedy selection, regulatory negotiation, preparation of design documents (drawings, specifications, and permit applications), permitting, bidding, contractor selection, construction management, and regulatory reporting for all remedial components in support of redevelopment at a former metals manufacturing site in Staten Island, New York under the New York State Department of Environmental Conservation Voluntary Cleanup Program. The remedy included dredging, ex situ stabilization, and on-site disposal of stream sediments; consolidation and capping of fill material across the Site; in-place abandonment of the Site’s former sewer system; installation of drainage swales for stormwater management; and wetland bank stabilization and mitigation/restoration. As part of the remedy selection process, a bench scale testing program for several stabilization reagents was developed and implemented. Roux was responsible for specification, sourcing, and testing of multiple types of certified clean backfill and capping materials. The work included permitting of remedial activities with multiple federal, state, and local agencies. Required permits and regulatory approvals for the project included a Joint Permit from the United States Army Corps of Engineers (USACE) and the NYSDEC for dredging of Mill Creek, bank stabilization, and construction activities in the wetlands; a NYSDEC State Pollution Discharge Elimination System (SPDES) equivalency permit for discharge of treated water to the Arthur Kill, a New York State Department of State Coastal Management Program Federal Consistency Assessment; a New York City Waterfront Revitalization Program Consistency Assessment, a modification of topography authorization from New York City Department of City Planning; and a New York City Department of Environmental Protection permit for temporary discharge to a combined sewer. Roux was heavily involved in coordinating with the client, regulators, and contractor for mobilization to the site in late 2006. During the construction, Ms. Clarke provided support to the on-site construction manager regarding field changes, design revisions to account for unexpected conditions, and contractor questions. The Final Engineering Report summarizing the construction activities was accepted by NYSDEC. Principal Engineer for a Brownfield redevelopment in Brooklyn, New York at a mixed use multifamily housing/neighborhood retail complex with a former on-site dry cleaner under the NYSDEC BCP. There is soil, groundwater, and vapor contamination from chlorinated VOCs from the former on-site dry cleaner, as well as groundwater contamination from off-site dry cleaners. The remedy, described in the Remedial Action Work Plan prepared by Roux, consisted of hot spot soil removal within the basement of the building, in situ groundwater treatment, and a sub-slab depressurization system for vapor mitigation in the existing buildings. Roux was responsible for specification, sourcing, and testing of certified clean backfill material. Remedial construction was completed under the oversight of Roux, including continuous monitoring of VOCs for all personnel working in the basement excavation area. A combination of ventilation, work sequencing, and vapor suppressant foam was used to control VOC emissions and allow the work to be completed successfully in this challenging setting. The Final Engineering Report and Site Management Plan were prepared by Roux and the Certificate of Completion for the Site was obtained in 2016. Roux is currently providing post-remediation monitoring services. Principal Engineer for the investigation, design, and implementation of a soil remediation project at a portion of a former oil terminal in Sag Harbor, New York. The remedy completed included excavation and off-site disposal of approximately 2,000 tons of petroleum-contaminated soil from beneath an active public roadway under the NYSDEC spills program. The remedy included extensive traffic control and coordination with Village of Sag Harbor officials, dewatering, water treatment, temporary water discharge of treated water to Sag Harbor, and restoration of the public roadway in accordance with the Village of Sag Harbor Department of Public Works requirements. VOC emissions were controlled during the excavation and loading of trucks using vapor suppressant foam. Dust was controlled using water. Implementation of a perimeter Community Air Monitoring Plan assured that the public was not exposed to contaminants during the remediation process. Roux prepared a Final Engineering Report, which was accepted by the NYSDEC and resulted in the closure of the spill number for the Site.